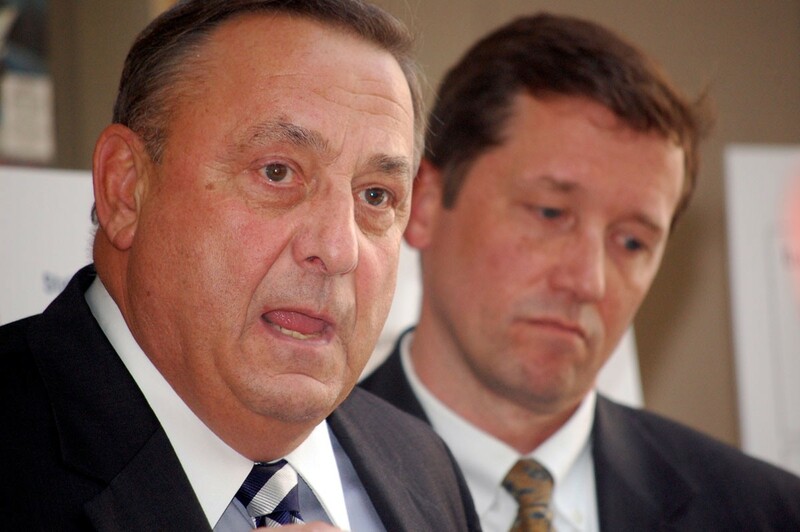 Maine governor Paul LePage (pictured above in the foreground) assures us he’s not racist, despite recent comments in which he insinuated that drug dealers are people of color and painted a picture of victimized Solo Moms. According to the Portland Press Herald, LePage’s charged comments occurred during a January 6 town-hall meeting in Bridgton, Maine. The controversial governor, in responding to a question about substance abuse in his jurisdiction, began discussing how much heroin out-of-state drug dealers bring into Maine. How did a discussion about heroin manage to defame not only people of color but also Solo Moms? Consider the source: this is the guy who has compared the IRS to the Gestapo and denied reports that he once said President Obama “hates white people.” When it comes to LePage, we “have another issue,” too—with hateful imagery and racist fearmongering. Time Out!